Despite being an oily skinned girl, I never forget to moisturize my face. It is an essential part of daily skin care regime. Although I absolutely love Lotus Herbals Alpha Moist Oil Free Moisturizer, I actually get bored of using the same product for a long time. 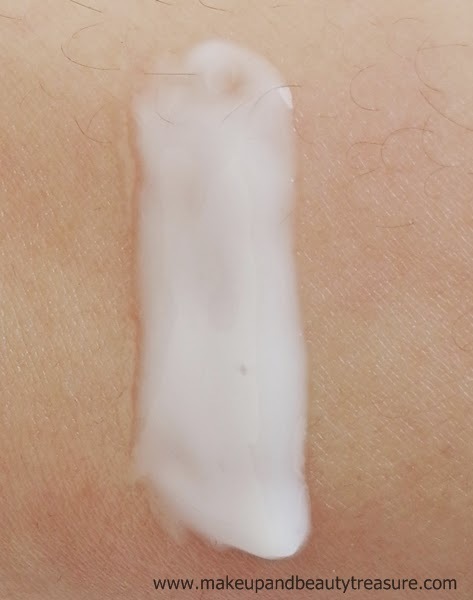 On my visit to Faces, I got an oil free moisturizer for myself. 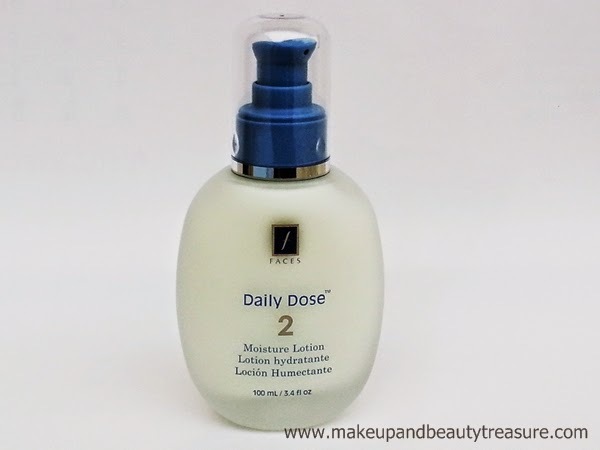 Today I am going to discuss my experience with Faces Cosmetics Daily Dose Moisture Lotion. Faces Cosmetics Daily Dose Moisture Lotion comes housed in a light blue cardboard box packaging with a small leaflet containing the instructions and details of the product. The actual product comes in a slightly heavy yet sturdy frosty glass bottle with a clear plastic lid. 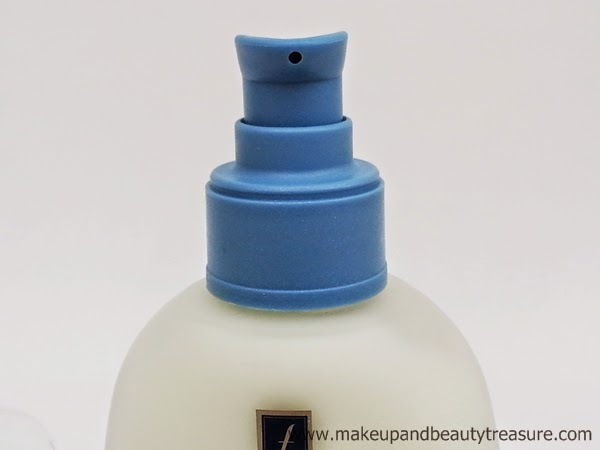 As soon as you pull off the lid, you will find a blue pump dispenser that dispenses the right amount of lotion thus avoiding any kind of wastage. The packaging is quite sturdy and can be easily carried around in a bag without any fear of leakage or spillage. It looks simple yet elegant to look at. The texture of the lotion is very soft and super silky with good consistency. 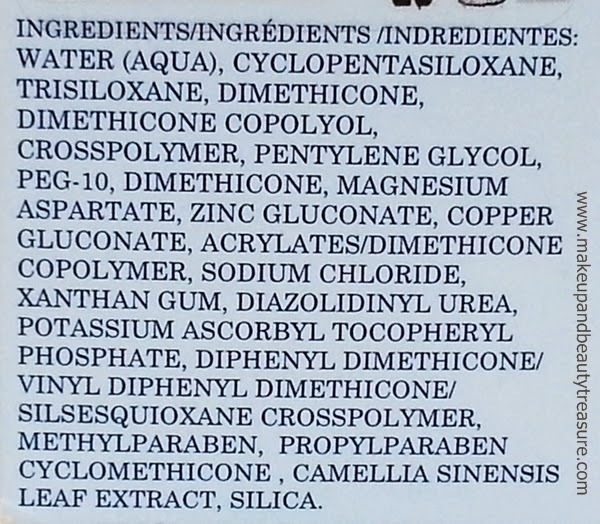 The lotion is neither very thick nor very runny. It gets spread easily and absorbs like a dream. It has mild and lovely smell that feels luxurious on application. I need only two sprays for my face and neck. It feels light on the skin and does not feel heavy or greasy at all. My skin feels extremely soft, smooth, silky and moisturized. Although it is oil free moisturizer but it gives a lovely dewy (not oily!) look to my skin. I love using it as primer or makeup base and my foundation blends like a dream as it provides a perfect even and moisturized base. It keeps oil at bay for a good 4-5 hours after that my T zone starts looking oily (It is super hot here!). It would be better if it contains SPF but nevertheless I love using Lotus Herbals 3 in 1 Matte Look Sun block (Read review HERE) with it. I have not suffered any adverse effects whilst using it. • Absorbs like a dream. 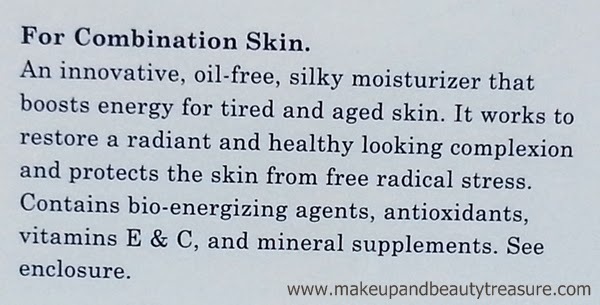 • Keeps skin oil free for a good 4-5 hours. • Gives dewy look to the skin. • A little goes a long way as a small amount of lotion is required. • Makes my skin extremely soft, smooth and silky. 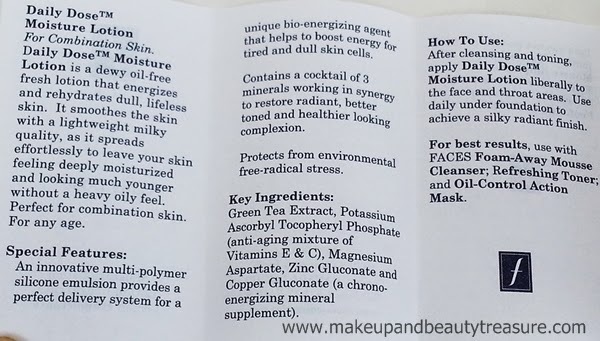 • Keeps skin hydrated and healthy. • Acts as a perfect makeup base. Faces Cosmetics Daily Dose Moisture Lotion is my favorite oil free moisturizer that keeps my skin super silky yet oil free. It provides a perfect makeup base and my foundation blends in really well. I loved it so much that I had already got two more bottles just in case it gets out of stock. If you have oily or combination skin then I would happily recommend it to you! 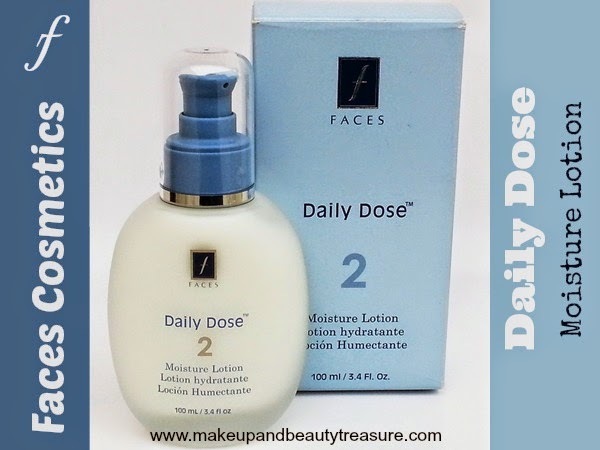 Have you tried Faces Cosmetics Daily Dose Moisture Lotion? How was your experience? Share in the comments section below!